Open the zip file and click on the file inside. 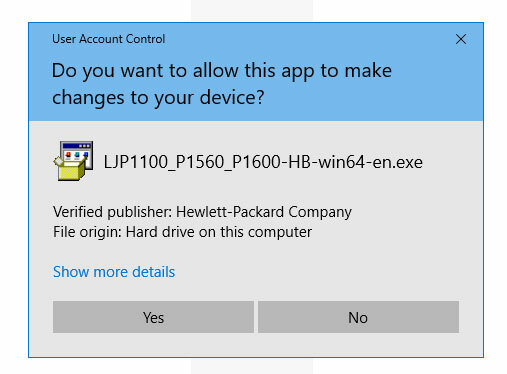 Windows will then ask you to allow the install of the driver. Once it runs it will install the driver for you. 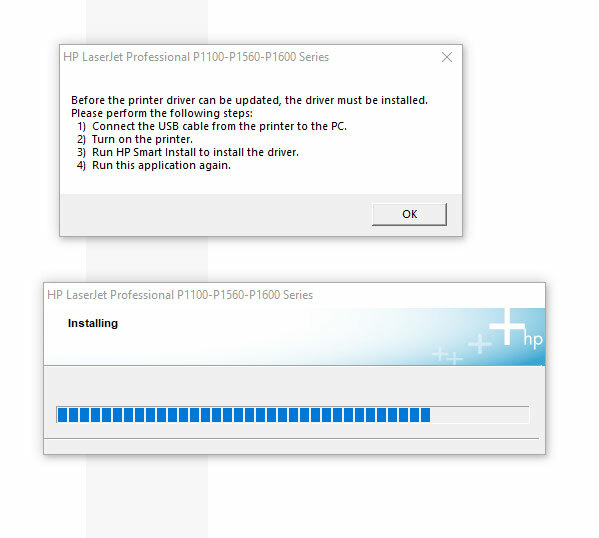 You will note that you have to connect the HPlaser printer to the computer when you install the driver. Turn on the printer so that the computer can identify the hardware. While it installs you will then be able to print with your HP Laserjet P1108. This is very easy to complete and should not provide you with any problems. If you had a driver on the computer before then uninstall the driver and reboot your computer before you install this driver after the reboot.